Vanguard reported on my speech during the Digitizing Nigeria. 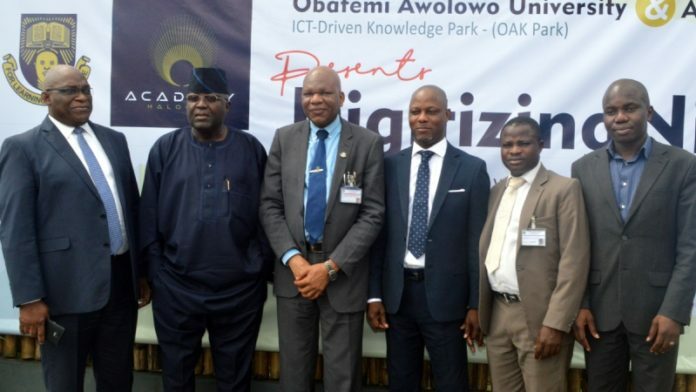 It was a Knowledge Sharing Session on Cyber Security held in Lagos on Thursday (Oct 4th) with the theme ‘Digitizing Nigeria, A Meeting of Town and Gown’ organised by Halogen Academy and Obafemi Awolowo University, Ile-Ife Osun State. In his presentation on competencies and requirements in addressing cyber security, Professor Ndubuisi Ekekwe, a Micro Electronics and Medical Robotic Engineering expert added his scholarly perspective to the cyber security discussion and the need for a robust digital policy direction. “The world is made up of numbers. Everything we do as humans is about numbers. We can reduce frictions in business by deploying right technology. Companies are moving from the physical to the digital realm. Digitizing Nigeria will bring about a new nexus of opportunities. Our nation will only be bounded by the limitation of the mind”, Professor Ekekwe analysed.